Everyday I raise an extra prayer of healing for Lauren, Kross, Emani, Sam, your family and your community because I feel but can only imagine the immense pain felt in your loss. It’s crazy to see the untimely passing of another member of that 2009- 2010 class of rappers, that really helped a lot of 20 something’s like myself navigate the ferocious waters of prepubescent life and shaped the type of people we be- came. I’m so sorry this disgustingly vicious cycle of violence in our community struck you and made Lauren lose a husband. the hands of a lost man. It serves as a humble reminder of what happens when we deprive people of all resources and expect them to pull themselves out of this im- posed darkness with no oxygen. is the link to successful Black men that specifically promote financial independence through institution building in the Black community dying strange deaths (i.e. Sam Cooke, Dr. Martin Luther King Jr., Malcolm X, Marcus Garvey, Fred Hampton, Bunchy Carter, Tupac, etc). And now our beloved Nip. owner of the plaza, with your investment partner, Dave Gross, on Crenshaw and Slauson that you started truly striding in this marathon at selling your mix- tapes and various merchandise out of the truck of your car. You also have a critical hand in Destination Crenshaw: a 1.3 mile stretch of Crenshaw Boulevard that will serve as an outdoor museum to promote expression and representation of Black LA. 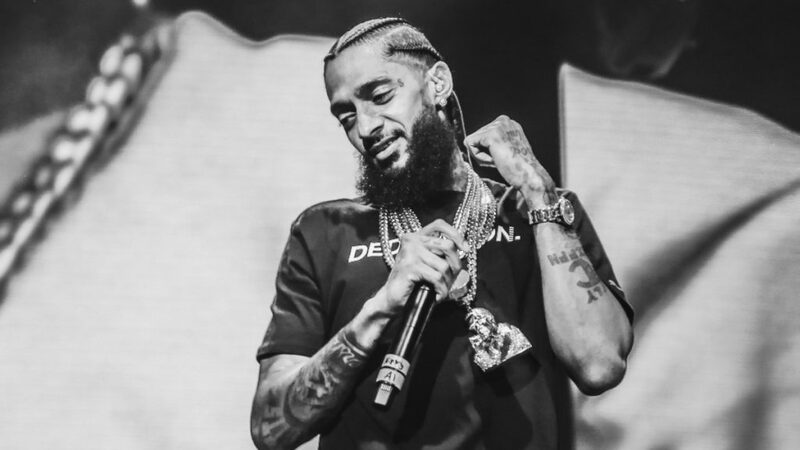 You were light-years ahead of all of us, Nip, in terms of vi- sions for a better tomorrow and actively taking the steps to create a community that is institutionally supported for people to thrive in and not simply survive. Let us rejoice in your last living testaments to us in your music. Thank you for giving us the blueprint for making something out of nothing. On the 51st anniversary of Dr. Martin Luther King’s assassination, let us be reminded of your most important lesson to us in the fact that the “The Marathon Continues.” The seeds that were planted in you by the Dr. Sebi’s, Bunchy Carter’s and MLK’s of the past influenced you to influence us. The magnitude of your impact will reverberate positive energy into the world for decades to come. Please be assured that the seeds you planted in us will bloom to produce more fruit in this end- less cycle. Like my Louisiana sis, Cierra Chenier (@noirnnola) said, Nipsey would want us to be focused on creating more Nipseys. We need to refocus this energy after the grief into action. We all have wonderful skills and talents that we were blessed with. It is our earthly duty to identify and cultivate these skills for the sole purpose of helping uplift those around us. Your light burned bright to remind us that there is an innate light in all of us. We simply need to shift our energy to truly tap into it. De- spite your Victory Lap having now passed, rest assured that your transition from this Earth will fuel us to run another lap… and another and another. May your soul rest in power.